I love the NGV Studio in Federation Square, it's an active little space focusing on 'youth' apparently! 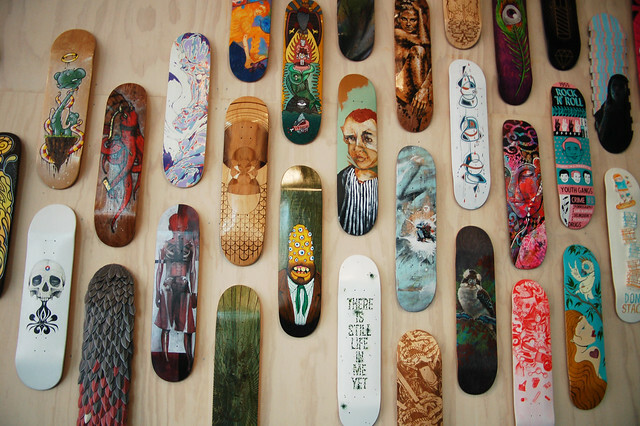 Currently there is an exhibition called Board which presents a collection of 1970s & 80s skateboards and ephemera from Tony Hallam’s (Australian Skateboarder) collection alongside contemporary decks created for the exhibition, it explores the evolution of board graphics and design. I have a blank deck of Shane's at home that I have been meaning to do something with...now I feel inspired.